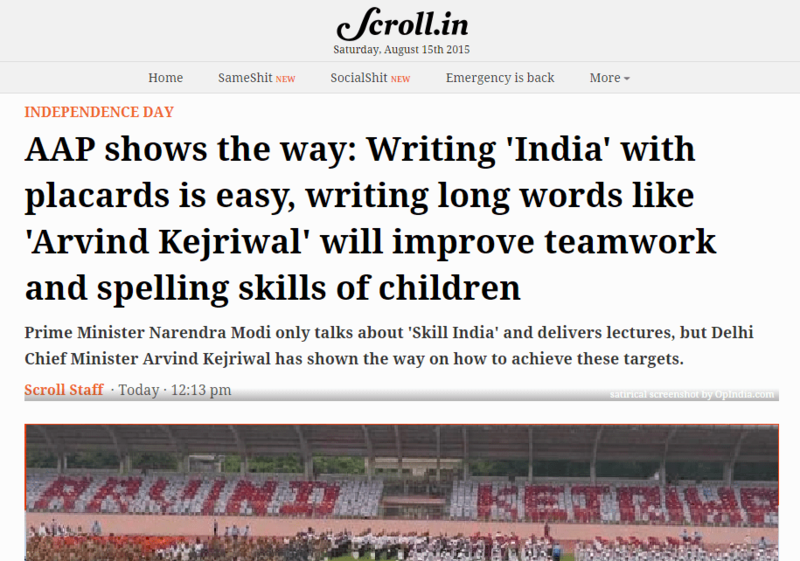 Narendra Modi was called narcissist by the media when he wore a gifted suit showing his own name, but what happened when Kejriwal displayed his own name in the stadium where Independence Day celebrations were going on? This is what they felt like saying and publishing, but did not. 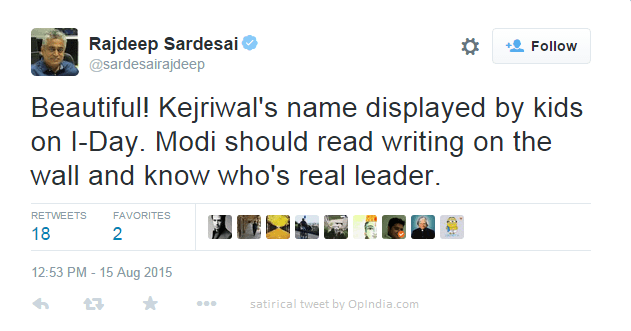 Independent and unbiased journalist Rajdeep Sardesai could decipher the message. As always, totally unbiased NDTV journalist Ravish Kumar got literary and philosophical and remembered Shakespeare’s “What’s in a name?” quote, which appeared the most relevant to the situation in his opinion. Firstpost had an opinion, as always. 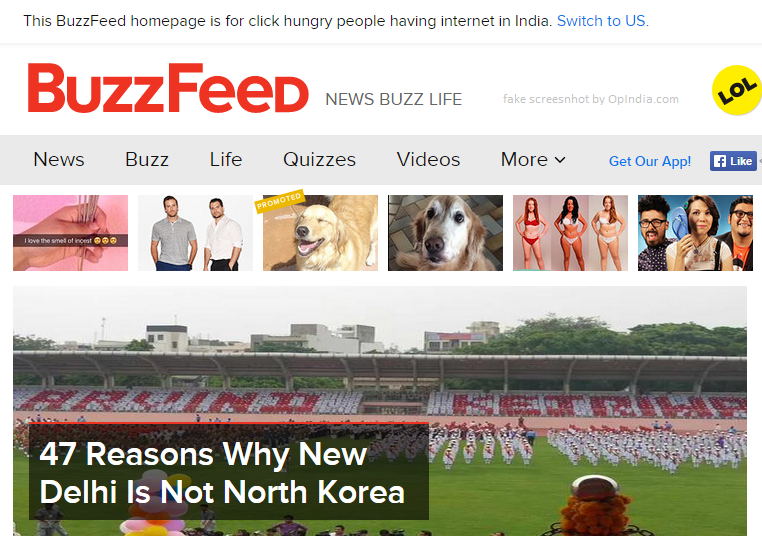 BuzzFeed too joined in. There were no kittens though. 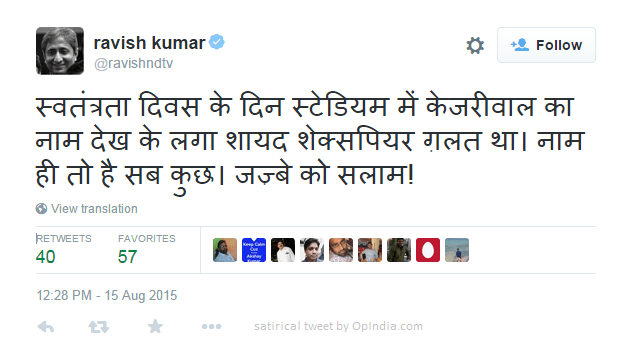 Stung by criticism, AAP decided to strike back by means best suited to its style.